NEW YORK — "Star Wars" news just keeps on coming, as the galaxy far, far away continues to expand. 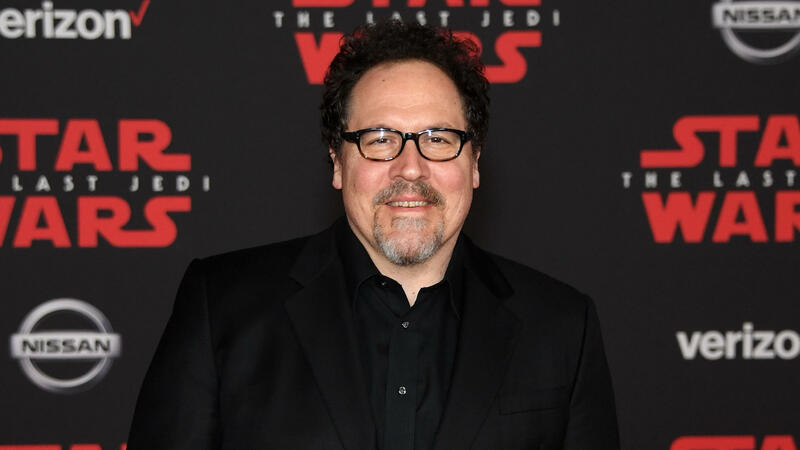 In the latest in a flurry of "Star Wars" spinoffs, the Walt Disney Co. announced Thursday that Jon Favreau will write and executive produce a live-action "Star Wars" series for the company's planned streaming platform. Disney is readying a streaming service to compete with Netflix, and it has signaled that "Star Wars" will be a major component. The not-yet-named service is expected to launch in late 2019. "Jon brings the perfect mix of producing and writing talent, combined with a fluency in the Star Wars universe," said Kathleen Kennedy, Lucasfilm president, in a statement. "This series will allow Jon the chance to work with a diverse group of writers and directors and give Lucasfilm the opportunity to build a robust talent base." Favreau has been a Disney regular, having directed the first two "Iron Man" films for Marvel and 2016's "The Jungle Book." He also helped produce several "Avengers" movies. He's currently prepping a "Lion King" remake to be released in 2019. He has some "Star Wars" experience, too, having provided a voice for "The Clone Wars" animated series. Favreau also has a role in the upcoming Han Solo spinoff, "Solo: A Star Wars Story." "If you told me at 11 years old that I would be getting to tell stories in the Star Wars universe, I wouldn't have believed you," said Favreau. Disney has previously announced that "The Last Jedi" writer-director Rian Johnson is developing a new "Star Wars" film trilogy, and that "Game of Thrones" creators D.B. Weiss and David Benioff will write and produce a separate series of "Star Wars" films. Kathleen Kennedy said in a statement that Benioff and Weiss' command of complex characters and mythology will help break new ground for Star Wars. No release dates have been set but Benioff and Weiss said they plan to get started on Star Wars when the next and final season of HBO's "Game of Thrones" is complete. No details or release date were announced for Favreau's series.